The fake moustache trend was fun while it lasted, but I think we might have finally seen enough. That's not, however, to say, that people still aren't coming up with new ways to incorporate a fake moustache into their wardrobe, and this novelty fashion item is ready for winter. 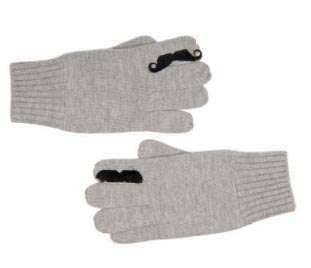 These fake moustache gloves will keep you warm this winter, but they don't just offer protection to your hands from the elements outside, they also deliver warmth to that naked spot above your lips, of course. 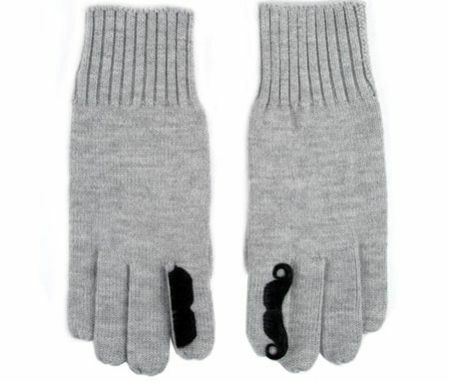 An added feature in these moustache gloves, which are great for the indecisive, is that they give wearers two different moustaches to choose from, just in case they can't decide on the right look for any specific occasion. What do you think of the moustache fashion trend? Is enough, enough yet, or are you still happy to see more creative products that incorporate the fake moustache? If Groupon Cashes In At The Register, Can Credit Cards Be Far Behind? Everything You Ever Wanted To Know About Bitcoins But Were Too Broke To Ask!